Dell recently unveiled its new ‘PC-on-a-stick’ device, an intriguing new concept that sees one small, almost USB sized device carry the power of an entire Personal Computer. 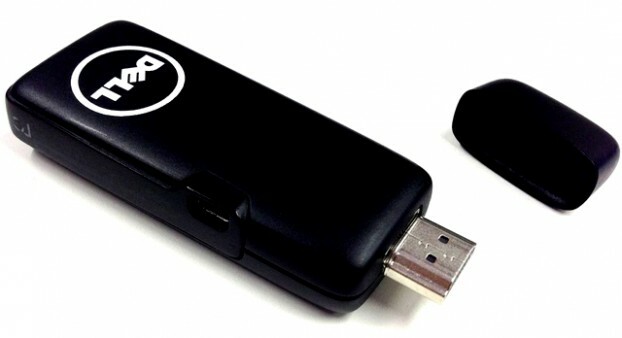 The device allows the user to plug it into any HDMI enabled TV or monitor and transform it into a ready to use PC. When the device, currently named project Ophelia, was first announced at the Consumer Electronics Show (CES) in January, it offered a lightweight alternative when carrying computing power. Whilst the concept isn’t entirely new, Dell is expecting their brand power to interest both personal customers and business customer, and increase the demand for their usability. The device is set for release in July, and will be available in the US for around $100. With the device running the predominantly mobile operating system Android 4.0, it also features many functions that are available on an Android mobile phone or tablet, including games, the app store and video streams. It also includes Wi-Fi capabilities, allowing the device to go online via any Wi-Fi router or Bluetooth connection, with options to connect a physical keyboard or use a virtual one on-screen. These features allow the user to turn any TV into a fully usable computer with ease. Another feature that Dell has included in order to appeal to a wide range of customers is the devices ability to stream OS X, Windows, Linux or Chrome OS. By allowing the user to decide which operating system design they prefer it allows Dell to potentially gain customers from many different existing markets. The device also has many features designed for the business environment. It contains a free cloud storage service ‘PocketCloud’ available to the user allowing secure access to documents and files on remote servers. It also includes monitoring systems for companies to give the device to staff to use, but monitor how the PC is used and the work that is completed. Security features also allow it to remotely clear all data on the device or stop its connection capabilities. An appealing premise is that business users who travel on a regular basis, needing to give presentations or hold meetings have a way to carry all of their information and make use of any device to access a computer. This would remove the need to carry a laptop device to any potential presentation scenario. The first releases of the device will be reserved for prospective developers, in order for them to create custom Apps, and optimize them specifically for the device. It will also be given to telecoms organizations in August, before final public release. It is debated by some reviewers as to whether the product will be able to penetrate a market that already has a healthy amount of competition. Others have questioned the business model of the new ‘all online’ capabilities of these types of devices, and imply that companies may rely heavily on subscription services to generate revenue. This could lead to lengthy costs for users. Catalin is an IT professional that has a passion for technology, internet, gadgets and coding. In his free time he enjoys traveling and spending time with family and friends. Connect with him on Google+ and visit his technology blog!